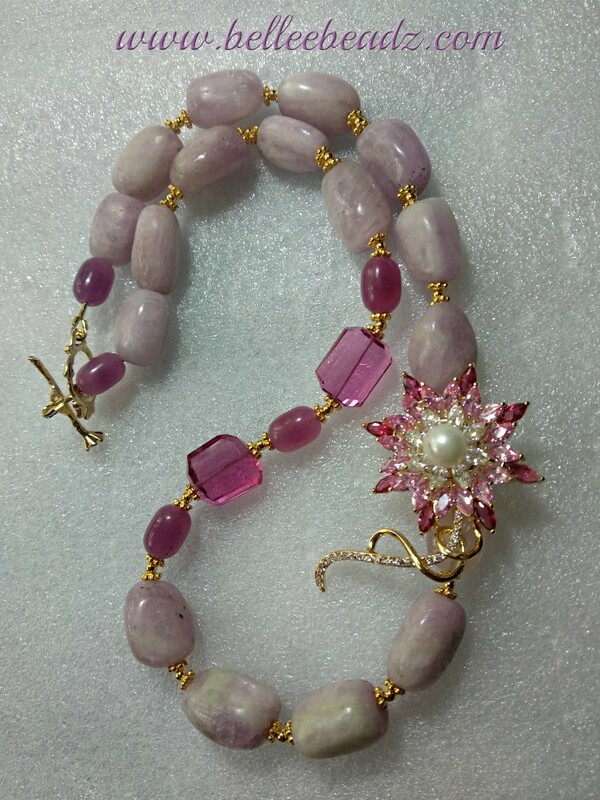 My photos don't do justice to the lovely pink kunzite smooth nuggets. These are pale pink bordering on pale violet with a silky lustre within the stones. 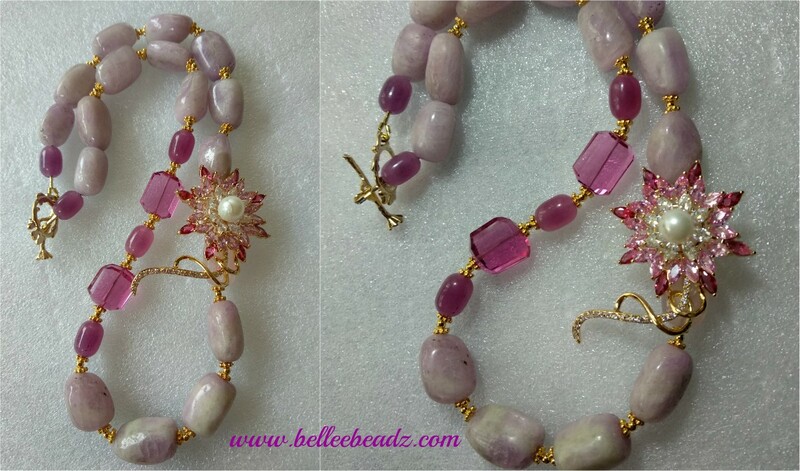 These stones measure between 16 - 20mm and I've added hot pink faceted quartz cushions to add more 'pop' to this necklace which also features a light to hot pink floral connector with a pearl centre. Necklace measures approx 19"/48cm in length.